An Eco-pond is a natural swimming pool that has many practical benefits, like low maintenance; low electricity costs; perfect water quality all the time. 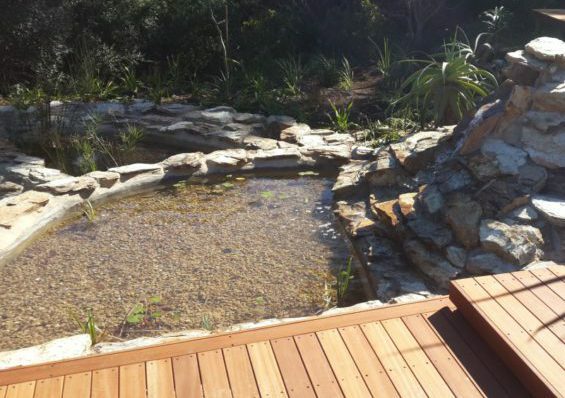 Though the real appeal for an eco-pond is aesthetic rather than environmental, installing an eco-pond has various environmental benefits and will become a wildlife oases. Rainwater tanks are installed to make use of rainwater for later use. Free delivery in Bloemfontein. Collecting rainwater means you can keep a constant supply of water. Can you guess where the grey water sprayed? Contact us today for a free quotation. Stop wasting water. Every backwash of two to three minutes will use between 200 and 900 litres of water. The key means of recycling rainwater, becoming self-sufficient, and saving on municipal costs.